It’s a holiday! Are you looking for some indoor activities for this season? Then continue reading this content. Indoor games are simple, and you can organize them with friends, kids, family and any handy team you can think. All you need is to choose anyone that matches your unit. What are good indoor activities? What Games to play at home? What are the types of indoor games? What can you do on a rainy day indoors? We all know the weather for the season. An indoor game allows you to maneuver the weather condition. Plus the long processes of organizing an outdoor game makes indoor gaming a BAM!!! 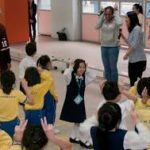 Indoor gaming can be competitive or straightforward, but the primary aim shouldn’t be left out; To keep pace, you must organize these indoor games in an interactive and dynamic orientation. Young persons today can make the best of indoor gaming if they play to garner simple, yet necessary ideas. Below are indoor games you can organize easily and quickly. Follow The Leader – A dynamic and creative game with rhythmic moves. In this game, all participants form a circle the person will coordinate that. This person is the initiator who will make the steps and changes at intervals and on his volition. The whole group has to follow the leading of the initiator as he coordinates them on what to do and when to do it. The goal of the game Follow The Leader is that someone outside the group could tell who the initiator/coordinator is as his movement. 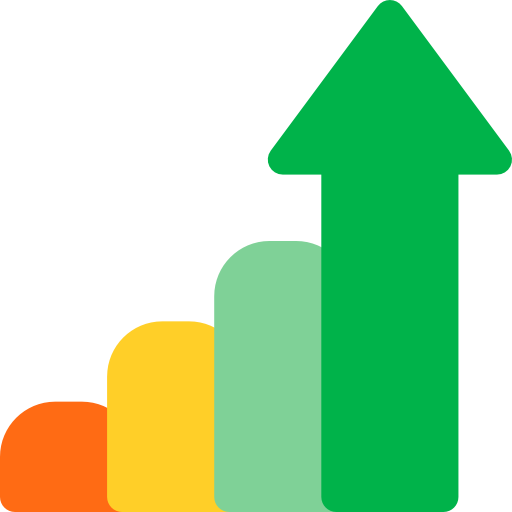 Build a bridge – In this game, you divide all participants into several groups; it depends on the number of persons available and the more, the merrier. Each team should strive to build a strong bridge. The bridge must be substantial, so after construction, it can carry a reasonable amount of weight. Test the strength until any bridge is so stressed and fall. Any team that sustains the same amount of weight as the weak bridge and effectively accommodates for a longer time is the winner. You can use the following materials (glue, papers clips, Ice cream sticks, etc.). The Messenger -Are you looking to lighten up any team and still have fun? Then you should be playing this game right now! In this game, you’ll try to understand what a player is trying to say, with a mouth full of biscuits. Take a reasonable amount of cookie and try to speak. If recognized, you have to chew more and more biscuit till no one understands what you’re trying to say and make it a bit complex to decipher this info. The bodyguard – Looking for an energetic and exciting game? Then you should go for The Bodyguard game as it is suitable. It involves many moves and is also a ball activity. Both the target person and the bodyguard are in the circle’s middle with the bodyguard protecting the target person from being hit by the ball. When you run the target, it will eliminate both. Group Order – This game boosts communication in any team and encourages a positive relationship. In this game, the group will have to arrange based on specific criteria set by the organizer. Group participants can arrange in a particular order after birthdays, shoe size, height, hair color, etc. The Alphabet Game – Do you know the alphabet well enough? It tests your knowledge of the Alphabet. The goal of The Alphabet Game is that all participants say the letters of the alphabet in order. Whoever gets confused leaves the game. Where is it – If you have any handy item, you can play this game. A chosen participant will have to leave the room for a minute or two during which others hide the ball. When the person returns, his first assignment is to find the hidden object. The primary task is to see the purpose. However, signs can be used to give a clue when you’re searching for the item. 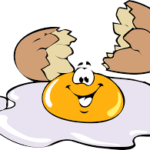 Drop Egg – Having a group of participants, some eggs and simple materials can organize this game. The competition aims to run with the egg at tithe tip of your finger or on a paper and to protect the egg. In game Drop Egg, the protection is necessary to protect so that the egg won’t fall from the hand of the bearer, and any team that saved the egg wins. 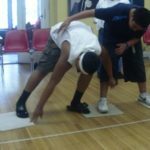 Four Corners Game – This game is simple, and any age grade can play it. It requires only a few materials and requirements. You’ll get a room and mark the corners 1-4. Blindfold a one person who will go around trying to catch the other persons at the edges. He’ll have to move around the room for some time and mention the side he is at the moment. The person at that corner is eliminated if correct. Play Four Corners Game and you will remain impressed. Catch the ball – You can easily organize this game indoor. Get yourself a softball. Arrange everyone in a circular form, and any player can start the game by passing the ball to anyone. Any player who fails to catch the ball s eliminated, so everyone will be alert to know when the ball is coming around. If you fail to catch the ball, then off you go! Time is no one’s friend! However, that doesn’t mean you can’t enjoy gaming! Instead of spending time organizing outdoor games, you can easily setup it up indoors. It goes mainly for kids! After a stressful day at school, they’ll need to relax their nerves and brain. Below are some indoor gaming ideas you can try out this holiday when you’re chanced. You can make out time for it this holiday! Touching objects – To set up this game, you’ll need to get objects of different sizes, all put together in a box. Chose one participant from the team who’ll be blindfolded. After blindfold, he’ll remove any object from the table, and he’s expected to name the object correctly. For every correctly named purpose, you’ll give a score. All-Stars – Each participant will receive a sheet and write his name. Then in the first stage, you’ll have to draw a portrait. In the second stage of the game, each participant will pass on to each picture and write down a great encouragement or quality. It’s done so that everyone is encouraged and feel like a star. Human Knot Game – In this game, you’ll have to make a circle with everyone’s hands joined together. You can stretch out your arms to the center and grab someone else’s hand, and this goes for both right and left side. When the game starts, everyone will get into the center of the circle and cross hands to form a knot form several hands. In the Human Knot Game, the players have to work together to unite the individual node without leaving hands. Who Am I Game – This game is quite popular. Everyone will receive a piece of cards with different names of celebrities, countries, objects, etc. The name and a little picture of the characters should be given, and you should cut out the faces (for actors and human characteristics), so the players won‘t register any facial recognition. You’ll ask yes/no questions about the items or the name written on the cardboard. Issues like: Is this A? Does this country have this? Is this an object? Etc. The others answer with yes no. They have no right to give other indication. Now if you’ve learned more about Who Am I Game, do not hesitate to organize it. Simon Says – This game allows you to know the attention and focus your team can provide when you’re addressing them. Choose a player for Simon’s role. Simon’s goal is to provide shortcuts to the participants in a circle and to mislead them. Simon says “Simon raises his right hand.” At the phrase “Simon says raise your right hand,” all the participants have to do what Simon does. When Simon says something without including the word “says” then that requirement should not be made. If anyone fails to follow the instructions, you can eliminate. 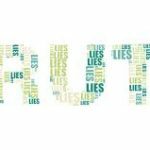 Two Truths and a Lie Ideas – A game that should be organized at first encounters with friends or other groups of people. In game Two Truths and a Lie Ideas, you’ll discover more qualities or things about the participants. Each player has to write about him two real things and a false one. Then others have to find out what is right and what lies. Teens are active and energetic, and they could achieve a lot with their spare time if engaged! If not organized, they get bored and do not interact with each other. Phones, computers are stealing too much time. 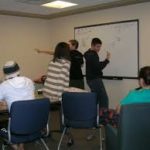 But a proper organization of some indoor activities will attract their attention and improve communication and collaboration in any team. We came up with some indoor games that’ll impress any team, and the fun of it is that you can easily organize them with friends. Blindfold obstacle course – All you need to organize this game is a large room and some objects you can easily find at home. If there are over five participants, you can also form 2 teams. From each side, you blindfold one person. The others in the group have to guide their teammate to cover a distance while avoiding the obstacles (table, chair, bag, etc.). You can time this and make sure the team accomplishes their mission more quickly. The blindfolded person will have to follow the instruction of his teammates to avoid obstacles and elimination. The candy jar – We know the Candy Jar easily attract kids and teens of any range. You’ll prepare a small pot filled with medium-sized candies. You will need to know precisely the number of candy in the jar. Pass the candy jar across all players, and they have to figure out how many candies are in the jar. The one who is closest to the truth or tells the exact figure will win all the candy. 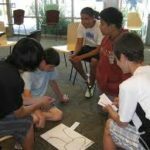 Concentration Game – This is a useful game for anyone who wants to test their level of concentration, observation, and memory. You can play one at a time if there are more players in teams. However, it’s great for a small group. Two participants should stand to face each other and try observing the whole physical details of themselves. That could take a minute or more. Then they come back with each other, and each one works to say what things they noticed to each other about the exterior — the one who describes better You can make it more complicated exciting the two people can change something towards the outer appearance, and the other person has to say what has changed. Balloon Hitter – Give each player a balloon and allow them to pump air into it. Place a few objects at a certain distance to serve as a target. Each player should have one objective. The game is simple! You throw the balloon, so it hits your mark. You could try as many times and possible. Defend the gate – First, everyone should form a circle. The participant should stand with the legs extended laterally at the level of the shoulders. And neighbors must join everyone’s feet. Just assume that everyone has his gate and the purpose of Defend the game is to defend his entrance with his hands. Give a player who will start and try to hit the other player’s legs. If the ball passes between the legs, then the player will only defend with one hand. If anyone catches the ball twice, then you can eliminate the player. Although children want to be independent and play lonelier, you make them play in groups as well. When playing in groups, with more, you can teach them to be part of the team and take into account the opinions of others. In the article below, there are some gaming ideas that you can organize for kids when you have a little vacation or have free time. Some could also be suitable for evening time. Gaming Seats – Arrange a few chairs in a circle. The number of seats should be a number less than the children taking part in the game. Prepare a lively song. 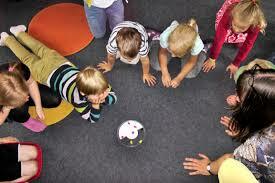 When the music starts, the children will dance around the chair and be attentive to know when the music will stop. And when finished, they must sit down as fast as possible, and you must eliminate the unlucky one. For the next round, you take out a chair and play in the same way until two players that compete. Keep the Balloon Up – For this game, you only need a few balloons. Children like playing with balloons, so this is the best fit! It’s so easy to set up. Blow a few balloons and instruct them to keep them in the air while hitting them up with the hand. They should not allow the balloon to touch the floor. As a variation, you can also do away with playing the children who reach the ground with the balloon. Indoor Obstacle Course– Some ideas for some indoor activities with obstacles for children: a) You can use a tablespoon to hold a tennis ball and run for some time. You can put objects on the trajectory to bypass them. b) Walking a small range with the balloon between the legs, jumping forward.c) throwing a ball into a basket) walking a short distance. Children can crawl on the floor, so they compete. Find the hidden object – In this game, you’ll have to get an object in the middle of the team. Everyone will have to form a circle, and you’ll hide the purpose among them. The goal of the game is to find the hidden object in the middle. 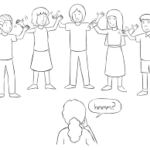 This activity motivates children to read the body language of others. The children who formed the circle are taking their hands and hiding their hands behind their backs. So when the object passes from behind anyone in the center cannot see it. You can also start music after a minute you can stop the music and the person in the middle, you need to know about who is the object. Look Up, Look Down – If you want to make a little move with kids, this game is good. All participants form a circle. At first, all look down. When the organizer shouts “look up,” the participants look up and then immediately look in the eye to another person in the circle. You must eliminate anyone that makes eye contact. It continues until you have two or three players. Any well-organized activity will be beneficial, especially when it has a specified team. We could not say with certainty that only indoor activities are the most appropriate because it depends on the side you have, outside time, or the materials. But still I will list a few benefits of indoor activities, some of them fit into other games. 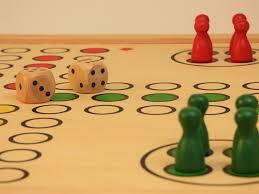 When you are with your family at home or gathered with more friends, you can organize and test a few games. 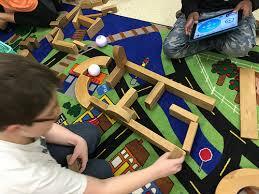 The games you can play at home offer an alternative if you do not have other possibilities. You can use simple materials available at home. 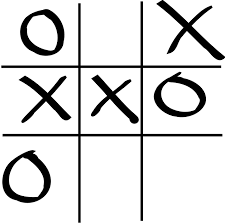 Tic-Tac-Toe – If you have papers and pens, then Tic-Tac-Toe is at your fingertips. A practical and logical game. Draw two horizontal lines and two vertical lines on the paper to intersect. The goal of the game is for one player to mark three boxes with the letter X or O. This can be diagonal, vertical and horizontal. You also have the role of blocking your opponent. In this game, you can also use some variations. A good example is Cups X and 0. Hot Potato Game – Hot Potato Game has been on for many years now. It‘s ‘potato, yet play with any handy object. You can also use small balls or other round objects. Participants in this game form a circle, and when the music starts, they should circulate the potato from one to the other. When the music stops, they can eliminate the person who had a potato in hand. However, you can make a compliment or encourage the person on the right. Domino Run – This table game can also be used for another test. Try to put each piece of a domino in your feet at a small distance, so when you touch the first piece and fall and the other ones back. You can do this in a line, like a circle or other position. 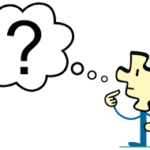 Memory games for adults – It’s a simple game where you can use more variations. Prepare on time and a sheet a few lines of words. Can be the names of countries, cities, animals, etc. Read aloud to the participants. Then you can ask the group for example, what were the three countries read, or which was the first city on the list? Every person is different regarding games, whatever they are not. So it is good to have a greater diversity to embrace all categories of people. 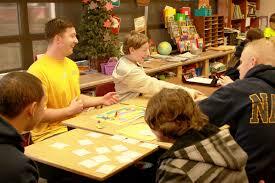 There are various types of indoor games you can use and organize. There are card games (Uno), table games, board games, obstacle games, logic games, memory games. Table tennis: A sport well known in our context as ping pong. You need two tennis rackets and a ping-pong ball. Both players, pass the ping-pong ball with the rocket over the middle net. The table tennis must only touch once the ball. Darts: With a little attention, you can also play this game that does not require much except the “darts” board and a few arrows you’ll throw in it. Target the best and add as many points as possible. Chess: A game that’s popular and played anywhere. The chess involved a board made up of 64 squares and 16 pieces for each player. Be smart and make those movements that will make you win. Foosball: Foosball is also commonly referred to as table football. It plays with the hand and be careful about those passes of your players. Hide and seek: If you have some unpopular cameras, but you can hide, then organize this game and especially with children. Someone counts up to 10, and the other participants try to find a place to hide. Then he has the purpose of looking for each one.